Blessed with a mild climate and a wealth of natural beauty, Marin has long been one of California’s most desirable locations. Once you throw in some of the finest schools in the state, a rich cultural life, and a landscape tailor made for outdoor pursuits, it’s hard to imagine living anywhere else. 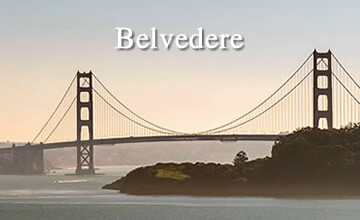 Whether it’s the stately homes of Belvedere, the local charm of Bolinas, or the picturesque waterfront of Sausalito, Marin has something for everyone. 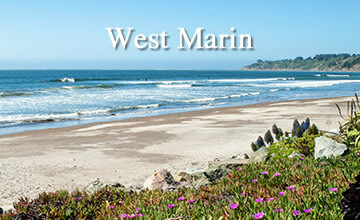 Connected to San Francisco by the Golden Gate Bridge, Marin is a lovely place to call home. Many people find that this is the ideal compromise. 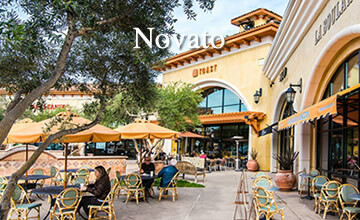 Only a short drive from a world-class city, residents of Marin enjoy the benefits of more intimate communities. These benefits include local farmers markets, theater, as well as myriad outdoor pursuits. Even more amazing, each piece of Marin has it’s own local flavor. 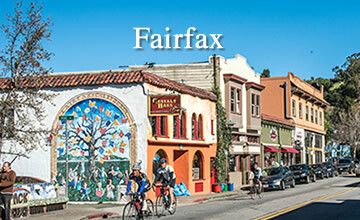 Whether its a secluded cottage in West Marin, or a ranch-style home in San Rafael, a vibrant city in its own right, we have the knowledge to meet your needs. 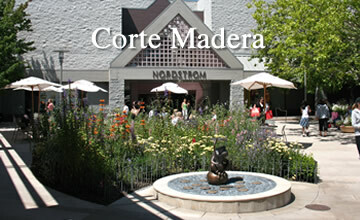 Let us help you find your piece of Marin. 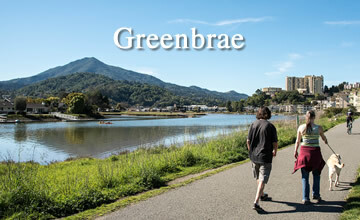 Rising from Muir woods, Mount Tamalpais is the most prominent natural feature of Marin County. 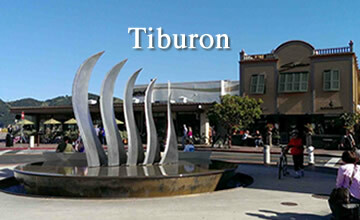 Most residents consider it both an icon and a familiar friend. Though small in absolute terms, this mountain is part of the essence of Marin. The mountain is a natural wonder of hills, lakes, waterfalls and streams. Equestrians, hikers and bikers all enjoy the splendor of the hill. Mountain biking was born on Mt. Tam. 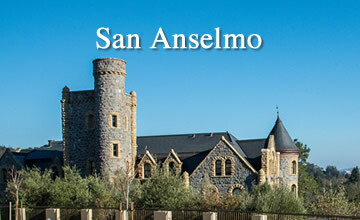 There are camping and picnic facilities. Virgin redwood forests grow at the foot of the mountain near the sea. 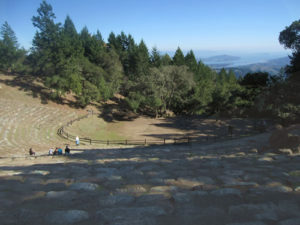 Visitors to the top of Mount Tam are rewarded with striking views in all directions. Over 100 miles of trails and undeveloped roads offer endless possibilities for recreation, including mountain biking and hiking. Indeed, this mountain is both the birthplace of mountain biking and the oldest cross-country trail race in the country, the Dipsea Race, which is named for one of the most popular trails. 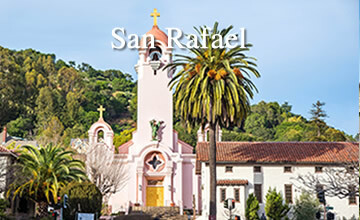 The race begins in the town of Mill Valley and descends 7.1 miles of trails and stairs to Stinson beach on the Pacific Ocean A combination of accessibility and breathtaking scenery have made the mountain a popular place for weddings. A local group, the Mountain Play Association, also puts on an annual musical in a picturesque stone amphitheater atop the mountain. Guided interpretive hikes are available, as well as guides for astronomy nights. This 5,000 seat amphitheater is worth taking the time to explore. Here, 2,000 feet above sea level, are incredible views of the Richardson and San Francisco Bays, Angel Island, Alcatraz Island, the Oakland Bay Bridge, the Berkeley Hills, and Mt. Diablo beyond. The entire area was donated by William Kent in 1915 and named for Sidney B. Cushing, president of the Mt. Tamalpais and Muir Woods Railway. In the 1930s, the Civilian Conservation Corps built the seats out of serpentine brought down from the West Peak. 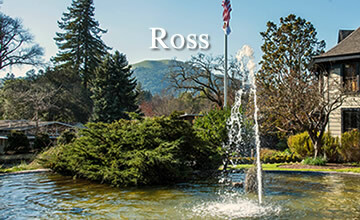 Since 1913, visitors have enjoyed the annual Mountain Play and other dramatic productions, religious services, concerts, weddings, and picnics in the theater. The first road up the mountain, called the Eldridge Grade, was built in 1884. Visitors could ride a stagecoach eleven miles from the Rafael Hotel to the summit. 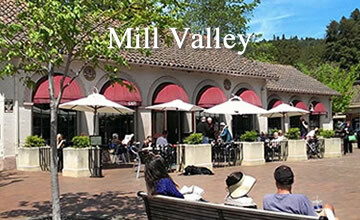 Then, in 1896, the phenomenal Mill Valley and Tamalpais Scenic Railway began taking passengers up to the top of the mountain from downtown Mill Valley. The “Crookedest Railroad in the World” was 8.19 miles long, had 281 curves, and featured the famous Double Bowknot, a track that paralleled itself five times as it gained elevation. The Tavern of Tamalpais was built 220 feet below the summit at a reported height of 2,436 feet. It was a first-class hotel with rooms, meals, liquid refreshments, and a wide veranda with a 150-degree view of the ocean, Marin, the bay, and San Francisco. Advertisements at the time declared that patrons of the Tavern could view “eighty cities and towns and twenty California counties.” The cars that took people up the mountain were actually backed up the tracks and eased back down by steam locomotives attached to the downhill side for safety. A line was added to the railroad in 1907 which took passengers by gravity cars into Muir Woods, and the name was changed to the Mt. Tamalpais and Muir Woods Railway. William Kent, an early pioneer and congressman from Marin, had purchased that property, then known as Redwood Canyon, which was covered with giant virgin coast redwood trees. The problem was that it could be reached only by a narrow stagecoach road. Kent promised to build a hotel if the railroad would extend a new spur into the area. He kept his promise and spent $150,000 to construct the Muir Woods Inn. The gravity cars used on the new spur speeded passengers ten to twelve miles per hour around the seemingly endless curves down the mountain and through the woods. Invented by the railroad’s master mechanic, Bill Thomas, each car held thirty passengers and would coast silently down from the 1,800 foot Double Bowknot for approximately six-and-a-half miles. The number of passengers using the Railway topped 102,000 in 1915. The trains were also used to take people to the summit for Easter sunrise services and to attend the mountain plays. 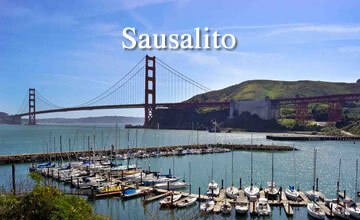 Visitors from San Francisco could enjoy a full day’s outing by catching a ferryboat from San Francisco to Sausalito, taking a train to Mill Valley, then heading up the mountain on the Railway. Lunch at the top could consist of a tasty picnic or an elegant meal purchased at the Tavern. In the afternoon the adventurous visitors might take an open-air gravity car down into Muir Woods, a veritable roller-coaster ride with the cars flying along the tracks, around curves, and through tall redwood groves. A peaceful walk among the trees, a quiet drink at the inn, then a return trip by train and ferry to San Francisco completed the day. Fires on the mountain in 1913, 1923 (when the Tavern burned for the second time), and 1929 brought disaster for the railroad. Showing great heroics, crews of the railroad raced raging fires downhill through black smoke and waves of intense heat, managing to save all lives, though paint on the cars blistered. The Great Depression and construction of a scenic road to the top of the mountain for automobiles spelled the final end of the Railway. It was abandoned in the summer of 1930 but remained a fond memory in the hearts of thousands of adventurers who rode her rails. Redwood Canyon, which William Kent purchased in 1905 for $45,000, was threatened by the North Coast Water Company, which wanted to cut the trees and flood the area for a reservoir. To block this move, Kent tried to give the land to both the county and state, but was turned down. Condemnation proceedings were moving along rapidly and the situation was desperate. The trees would soon be cut, a dam built with the profits of the lumber, and the canyon flooded. As the area was too small to qualify for a federal park, that too was a dead end. Then someone remembered a little-known law that stated if a parcel of land was extremely valuable, it could be given to the United States as a monument. 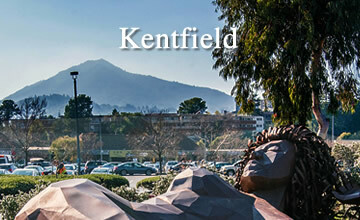 It was under this statute that Kent’s Redwood Canyon was presented to the government. The 295 acre gift was accepted by President Theodore Roosevelt on January 9, 1908 as the Muir Woods Monument, thus ensuring protection for the redwood forest. The species of redwood found in the Muir Woods National Monument is sequoia sempervirens or coast redwood, cousin to the sequoiadendron giganteum which grow in the Sierra Nevada mountains and may live 2,200 years. A 1979 study concluded the Muir Woods trees are from 500-800 years old. The redwoods are as tall as 236 feet. The diameters of the coast redwoods have been recorded over 16 feet, the largest here is 13 feet. Five pristine alpine lakes are maintained by the Marin Municipal Water District on watershed land. Two additional lakes, Nicasio and Soulajule, are located on private watershed land devoted primarily to agriculture. The lakes are reservoirs for the county’s drinking water, so no boating or swimming are allowed. Fishing is permitted and avid fishermen can always be found along the banks. The lakes are regularly stocked with trout. Special fishing regulations apply to Lake Lagunitas. At Lake Lagunitas you will find several picnic areas with tables scattered among redwood trees. A picturesque covered spillway leads up to the lake. You may walk up the trail next to the spillway or use the road which leads up the left side of the dam from the parking lot, marked “Protection Road.” Horse trails encircle both Lakes Lagunitas and Bon Tempe. 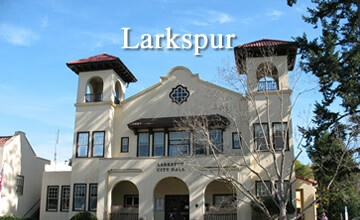 Click on the images to get more info about the town.